In today’s data-fueled world, organizations are increasingly looking to the cloud for analytics to help accelerate time-to-value, spin up resources at will, and reduce financial risk while enabling in-house talent to focus on value-add. 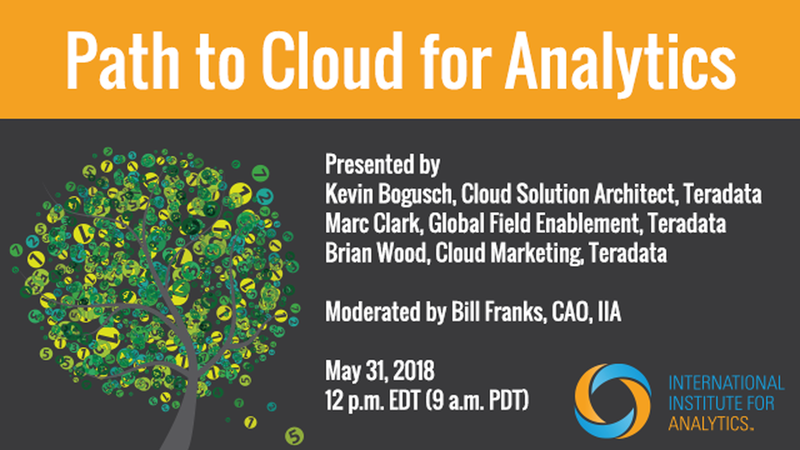 Tune in to this exciting webcast to hear three cloud experts – an architect, an advocate, and an evangelist – engage in a lively, free-flowing conversation about the many considerations when moving analytics into the cloud. One thing’s for sure: you’ll pick up new knowledge and get a fun, fresh perspective on one of the hottest topics of our era.